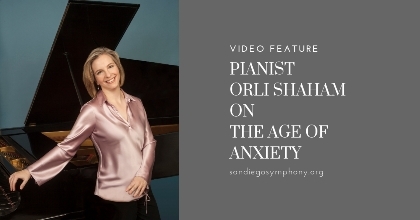 This concert is made possible, in part, through the generosity of Phyllis and Daniel Epstein. This concert is dedicated to the memory of Joseph H. Taft. Noam Sheriff, born in 1935 and passed away just last August, was one of Israel's most senior composers and also one of the country's most well known conductors. In 1957, when the Sheriff was only 21, his Festival Overture was given its premiere by Leonard Bernstein. For Sheriff, his long friendship with Bernstein was is one of the most important threads of his artistic life, so it is touching that he chose in the piece to celebrate not only Bernstein's centenary, but also the 60th anniversary of the first time he worked with "Lenny." 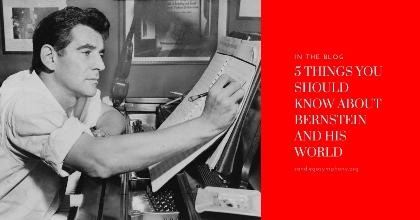 The piece is light-hearted and entertaining, celebrating the show-music side of Bernstein's talent and including lots of quotations from Bernstein's music. Have fun listening for them! Aaron Copland's Appalachian Spring is a Shaker-inspired ballet Copland wrote for the great choreographer Martha Graham. This really was the piece that made Copland's popular reputation and introduced the Shaker tune "Simple Gifts" to a wide audience. Copland was Bernstein's mentor, lover (for a while) and lifelong friend. Bernstein led performances of Appalachian Spring many times, as on this occasion. ...“Who taught thee me to name? And let our illusions die..."
Both the Auden poem and the Bernstein symphony were inspired by one of the most famous of all American paintings, Edward Hopper's Nighthawks, which hangs in the Art Institute in Chicago. Bernstein spoke about this piece as well.